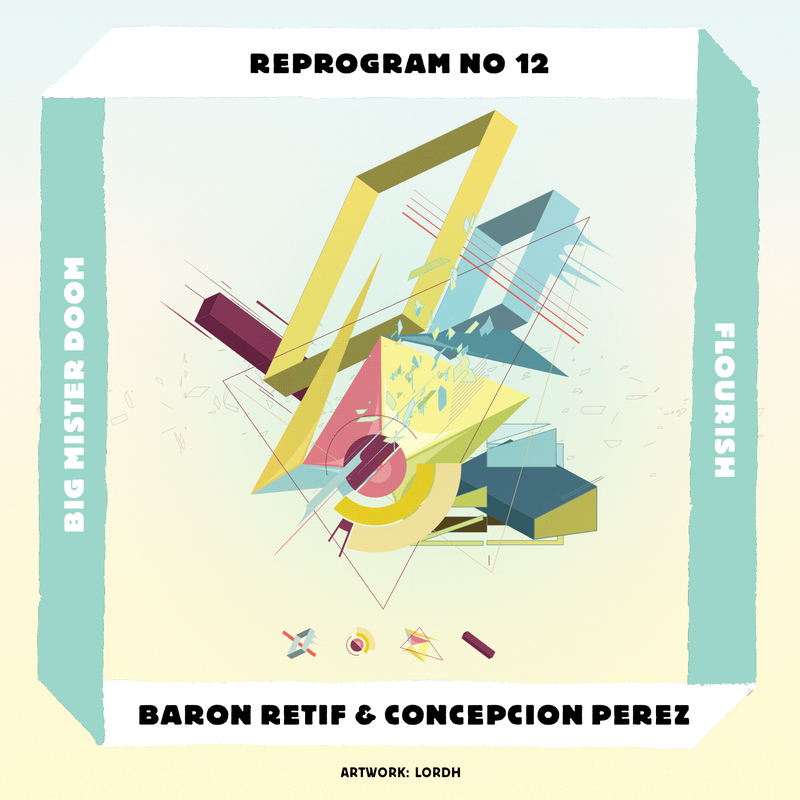 We proudly present the 12th track of the remix-art project ‘REPROGRAM: A SEQUENCE OF REMIXES’ with the release of a remix by Baron Retif & Concepcion Perez for Big Mister Doom and artwork by Lordh. ‘Flourish’ appeared on 2013’s EP ‘Disconnected Repeater‘ by Big Mister Doom. Ian Scott and Joe Wretham are Manchester-based duo Big Mister Doom. BMD started producing tracks together in 2009 and 2010 saw the release of their self titled début EP. They débuted in 2012 with ‘Tinderbox’ on now regular home Fremdtunes and released their follow up ‘Disconnected Repeater’ in 2013. Ian and Joe have been remixing tracks by artists like Eskimo Twins, Huess, Planes, Muskoaka, Pierce Warnecke and Paper Tiger. Baron Retif & Concepcion Perez is a Parisian duo signed to electronic label Musique Large. Their music is composed of wavy, downtempo, analogue, live-played funk tracks. The two turn BMD’s ‘Flourish’ in to an underwater groove-fest presenting the bass in your face and yet easing your mind in a playful way. The remix is mastered by Collin Visser (Takumi Audio). Lordh is an Amsterdam-based artist and graphic designer co-founder of HelloSavants Studio. His experience takes place from graffiti, lettering, typography as well as modern art from which he draws the feeling for proportion, balance and aesthetic harmony that emerge in his compositions.